Super Savings Item! 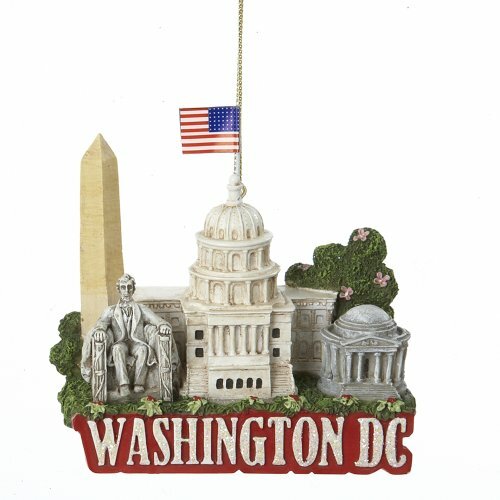 Save 32% on the Kurt Adler City Travel Washington DC Ornament, 3.25-Inch by Kurt Adler at Two Clock. MPN: YAMC7294DC. Hurry! Limited time offer. Offer valid only while supplies last. This 3.25-inch Washington DC ornament by Kurt Adler is a beautiful way to commemorate the great city of Washington DC while celebrating the holidays. This 3.25-inch Washington DC ornament by Kurt Adler is a beautiful way to commemorate the great city of Washington DC while celebrating the holidays. Its resin 3D design includes all of the greatest landmarks of Washington DC resting atop the name of the city in large, red and white lettering.